Well we did it! On Sunday 15th. July 2012 we the officers of the Bermudian Heritage Association hosted our first Mary Prince Tea. We feel duly proud to say it was a great success. It turned out to be a beautiful afternoon after much doubt and dark clouds. The setting overlooking the inlet Bay from Davenport Park in St. George’s added to the event. We catered to near 90 persons. Each guest was invited to sign the special guest book which will be kept especially for the next Mary Prince Tea which we hope can become an annual event .The menu consist of old-time sandwich ideas such as egg, turkey tuna and peanut butter and Jelly, Oatmeal cookies, Salt crackers and cheese and Gingerbread cup cakes with old-time custard. Hot tea , cold ice tea and plenty of cold water. A large applesauce birthday cake. The highlight of the programme was the brief song and poetic word on the life of Mary Prince written by Joy Wilson-Tucker and performed by Cherie Bean as soloist and Joy Wilson-Tucker the poet. The welcome was extended by Ms.Violet Brangman the prayer and blessing by Twilton Hardtman and the vote of thanks by Ms. Louise Tannock.The executive members Marion Hayward Nancy Hooper, Lynel Furbert, Boyd Smith, Lynn Wade, Cherie Bean and Myself did an excellent job of seeing to it that our guest were quickly fed. Goody party bags were handed to each guest as they left the event and were invited to view the museum exhibits which has been updated in many areas. Specially included was a silent auction of a Historic Apron donated to the Association for this purpose and was nicely auctioned off for a reasonable return and included with that the history of the apron. A new tradition was also included by the association and a toast was proposed to the newest hero our dear sister Mary Prince. We were graced with the presence of the Premier designate Ms. Jennifer Smith. Minister Walter Roban,Ms. Lovitta Foggo, Mr. Kim Swan Opposition UBP, Former Premier Dr. Ewart Brown and Mrs. Wanda H Brown and the Mayor of St. George’s Mr. Kenneth Bascome. We were indeed pleased to have the attendance of many members of the association and invite friends. To host a tea in the memory of Mary Prince was a proud but bitter-sweet moment when we realize the pain and treatment Mary endured and because of it we now can lived a reasonably free life. We will continue to research and talk about not just the life of Mary but all Bermudian slaves so that our history will be told and understood. It was not an easy path, life and we should not be ashamed to acknowledge that this is our history. 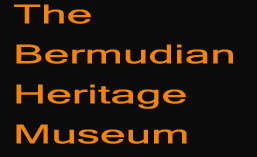 Be sure to visit the Bermudian Heritage Museum and learn these stories. We also exhibit items on more modern history come to the museum a high school of learning and all it will cost you is $4.00 entrance fee and time to read and digest. 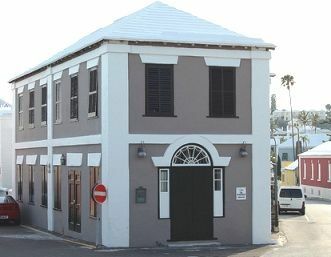 We have now become associated with the ADHT The African Diaspore Group and also the Community of Cultural Affairs and work along with the Bermuda historic Museum. Don’t hesitate to join us via face book or as a member in residence. We look forward to hearing from you.